Anyone can build a house…Let us build your homeEvery home we build is a custom home that is tailored to your lifestyle and needs of you & your family. 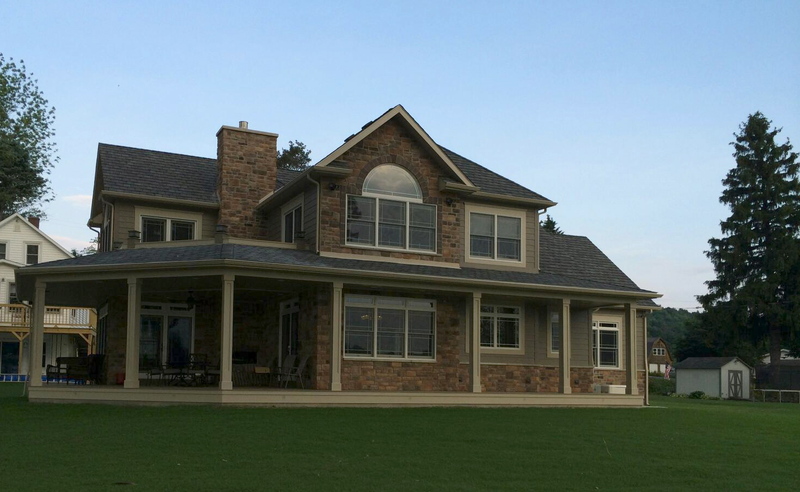 Mountainview Builders is a family owned-operated business that has been designing, building & constructing custom built homes for more than 30 years. At Mountainview Builders, we realize that there truly is no place like home. That is why we build nothing but the best for you and we will work with you to create the home of your dreams. We pay close attention to your wants and wishes throughout the process in order to build your perfect home down to the smallest detail. Building a custom home is an exciting, life-changing undertaking. If you’re considering building or remodeling a home, we’d love to talk with you about your thoughts, dreams and options. Bring your floor plans and questions, and we’ll go over them with you, room by room, detail by detail. We’ll talk layouts and landscaping, schedules and sidings, prices and paint colors. We will build on your piece of land or if you are looking for a quiet place in the country, you might want to consider the Mountain View Estates that is located in Sardinia, NY.